He was "not quite a graduate," Nelson recalls. At the time, the young man had failed part of Arizona&apos;s high school exit exam, called the AIMS. The answer used to be fairly straightforward: Pass a given number of classes in a few core subjects, and you&apos;re good. Or if you didn&apos;t make it, you could take a test called the GED for a second chance. But making the switch is resource-intensive. In Georgia, some of these students should have graduated up to 20 years ago. In California, reports say, schools and districts areresponding unevenly to the logistical nightmare of tracking down former students who have long since gone on with their lives. In Texas, the state education agency had to rule on the eligibility of just one student. The issue is clearly complicated. As we&apos;ve reported, increasing high school graduation rates is a national priority, reinforced by federal law. At the same time, the Common Core is supposed to be enforcing higher "college and career ready" standards. But constantly changing requirements make it harder to believe that any consistent standard is being maintained. 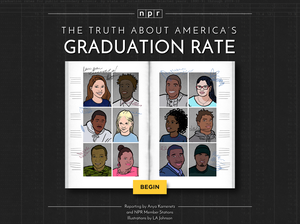 "The requirements for a high school diploma vary from state to state and even from district to district," says Russell Rumberger, a professor of education at UC Santa Barbara who has studied the high school diploma extensively. "This means that the knowledge and skills students possess when graduating, and hence their level of preparedness for college and careers, also vary."